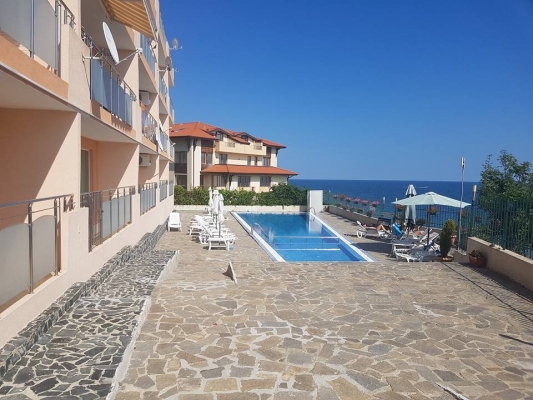 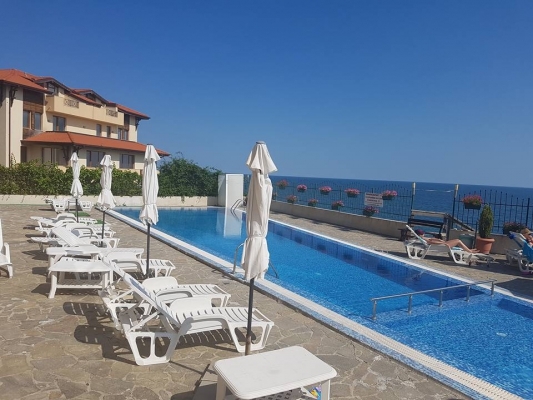 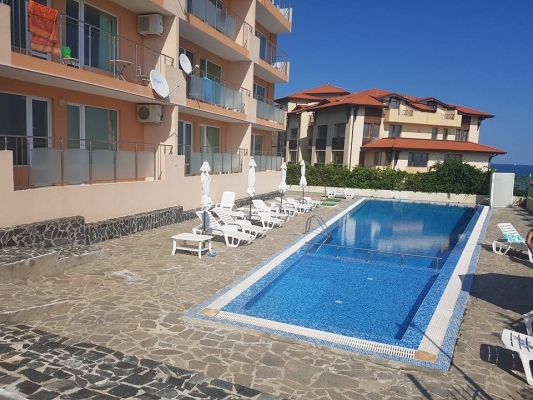 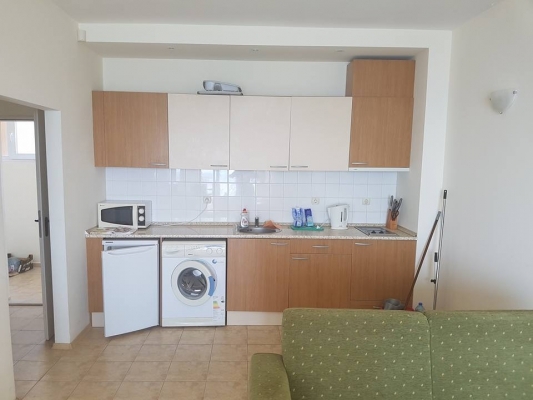 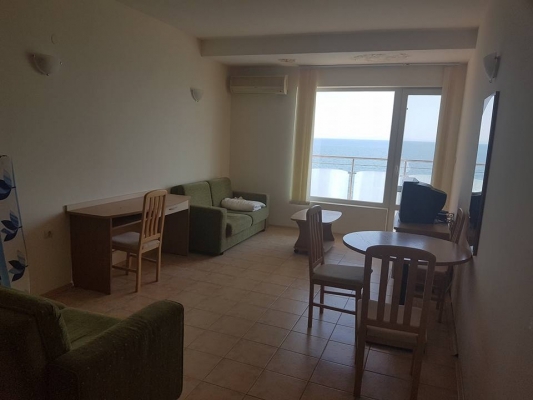 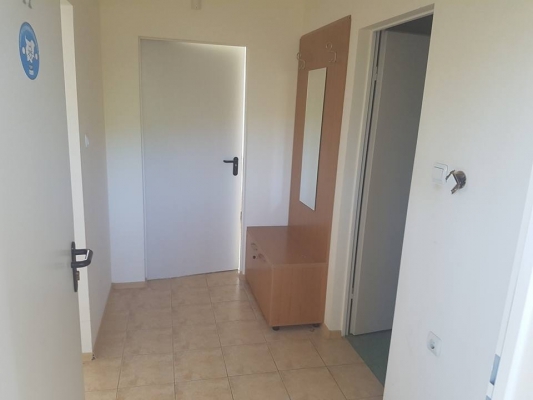 Clements Properties Ltd are pleased to offer this lovely 1 bedroom apartment for rent at the Coral Beach complex located on the road between Sveti Vlas and Elenite with prices starting from only 25 euros per night (exact price depends on the month and duration of the booking). 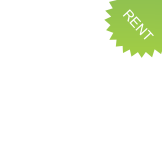 Contact us for our best offer! 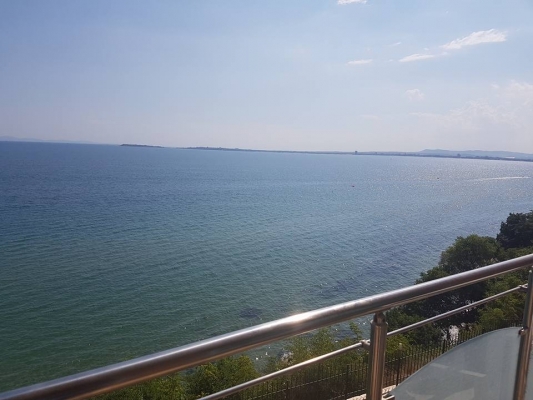 Conveniences of the Coral Beach complex include the private steps down to the sea and the amazing panoramic glass lift. 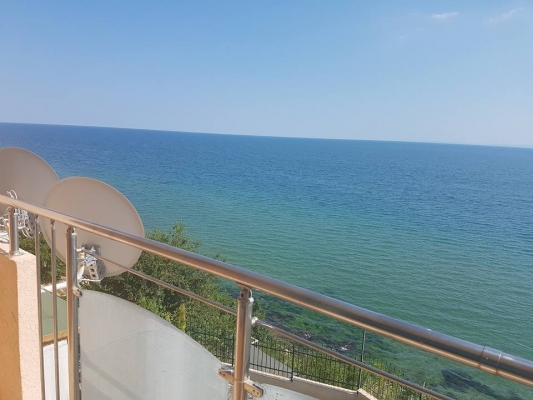 The apartment offers a breathtaking view to the sea. 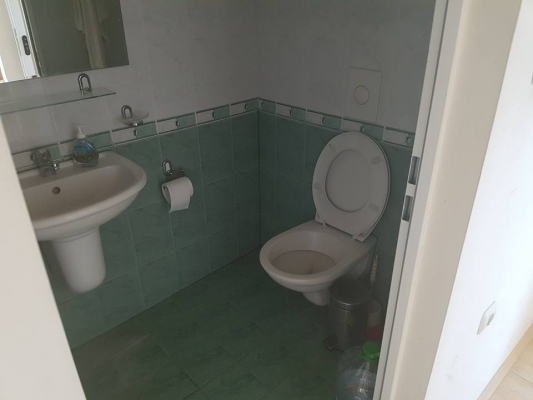 Double glazed PVC windows, terracotta flooring throughout as well thermo, hydro and noise insulation on the outside and inside walls are the benefits of the apartment as well as the fully fitted shower room with WC. 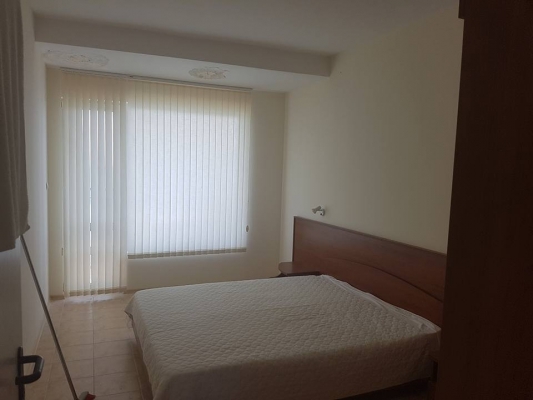 For residence’s convenience there are a large swimming pool with barbeque area and also free parking. 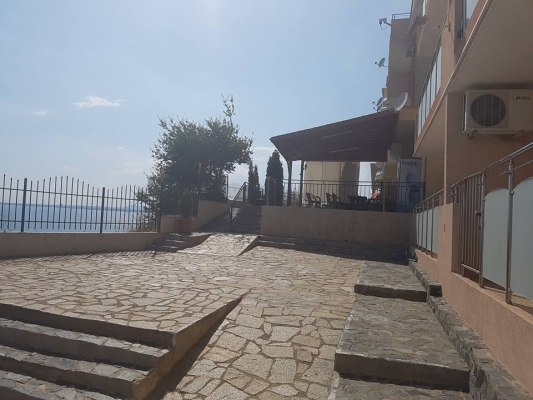 The area is very peaceful. 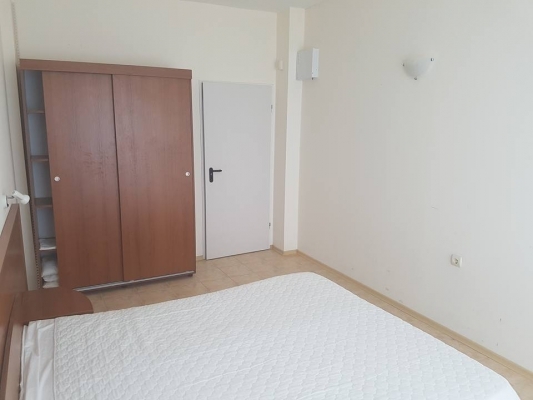 Wifi costs 2 euro per day (not included). 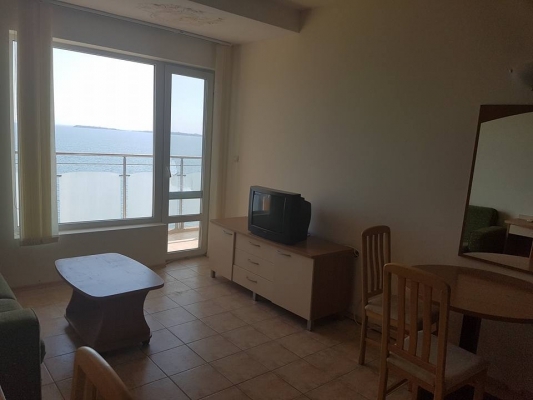 This 1 bedroom apartment is around 75 sqm in size and is situated on the third floor directly facing towards the sea. 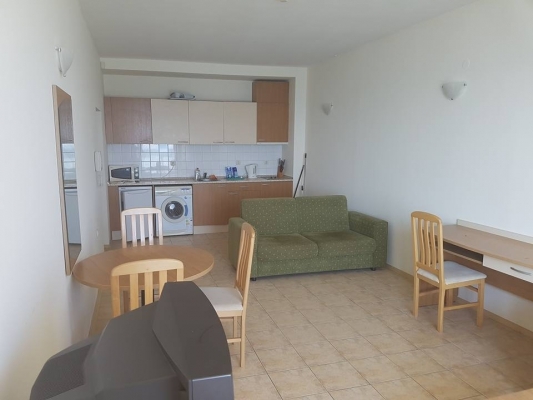 The apartment is fully furnished including a washing machine and cooking facilities and sleeps 4 people.